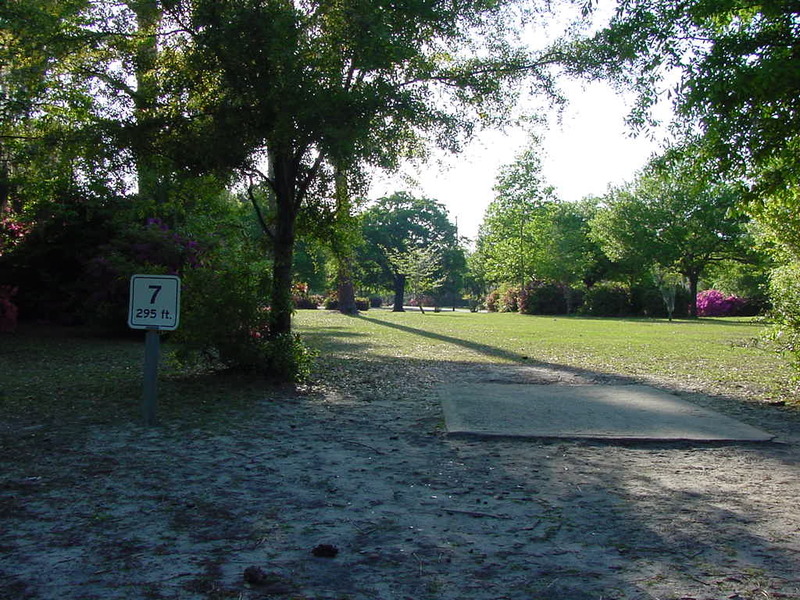 Sign and tee at Park Circle Disc Golf Course hole #7 looking towards fairway. 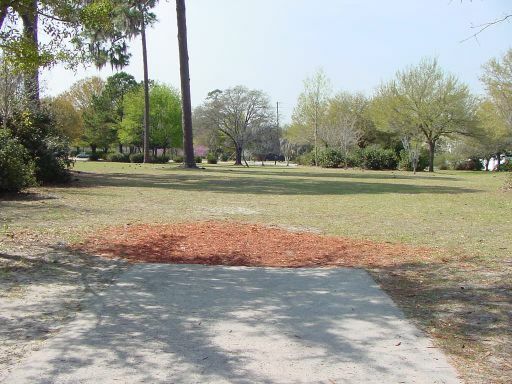 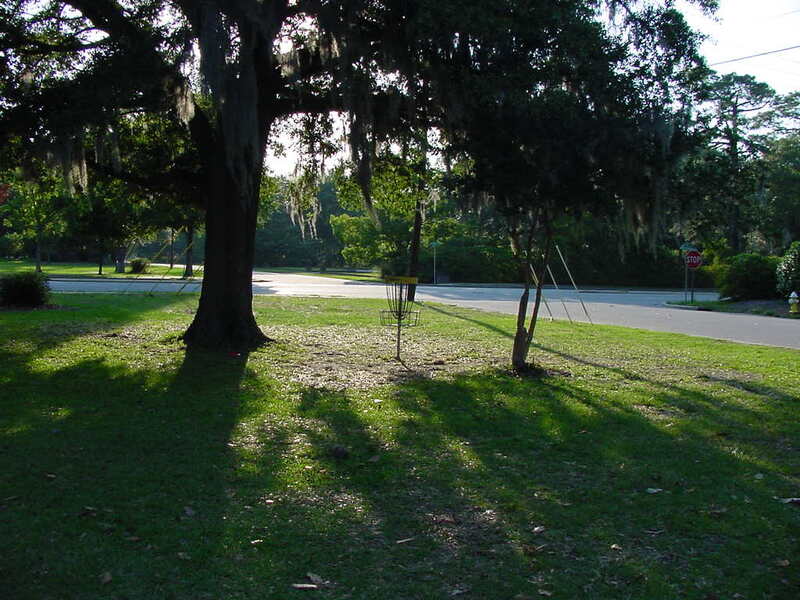 Here is a better view of the fairway for Park Circle Disc Golf Course hole #7. 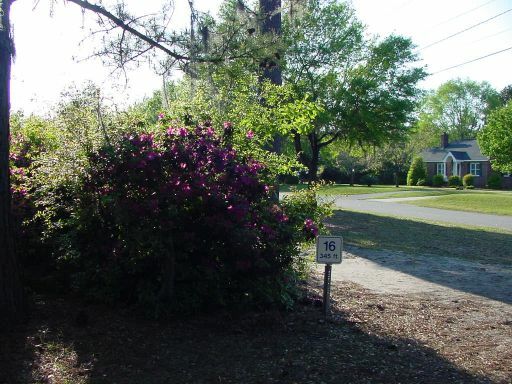 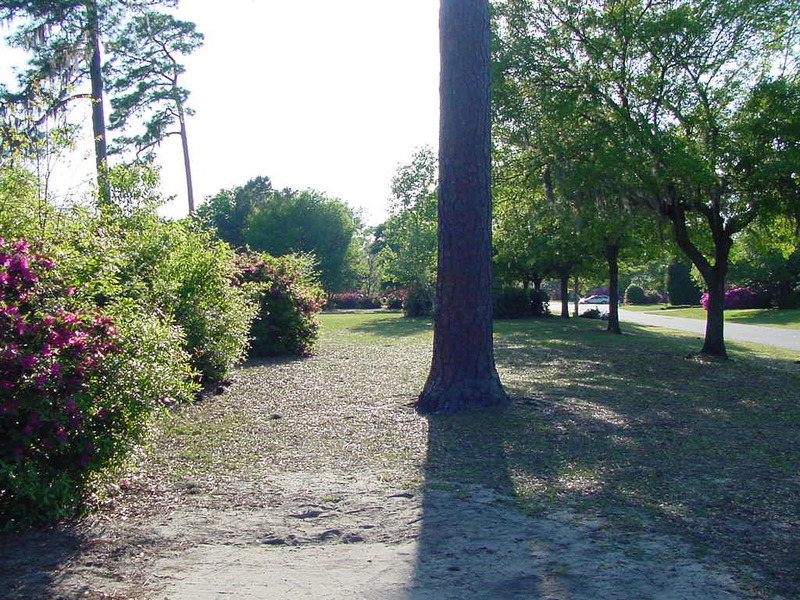 Park Circle Disc Golf Course Hole #16 tee is only tee with pine tree this close. Alternate Hole #7 Basket is more open, but can bring Out-Of-Bounds penalty. Regular #7 basket was too protected before Azalea bushes got trimmed back. 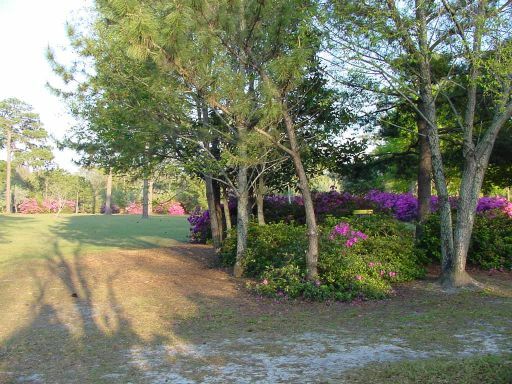 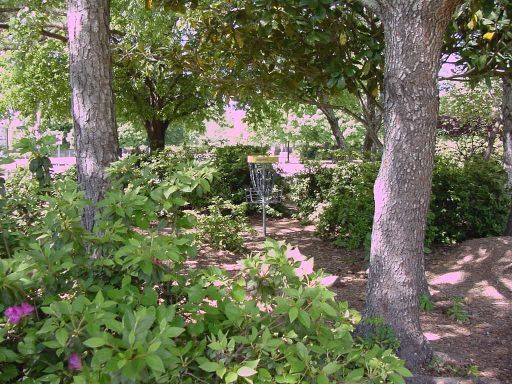 Azalea bushes near main basket are now cut back to increase odds for Birdie!